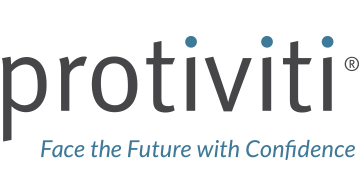 Protiviti (www.protiviti.com) is a global consulting firm that helps companies solve problems in business, finance, technology, operations, governance, risk and internal audit. We have served 75% of the world’s largest banks through our network of more than 70 offices in over 20 countries. Our global team brings the experience of former business and operations executives from across consumer financial services. Protiviti is a wholly owned subsidiary of Robert Half International Inc. (NYSE: RHI). Founded in 1948, Robert Half International is a member of the S&P 500 index.